The due date came and went. After a month of contractions and false starts, everything kind of stopped. What was up with that?!? Everything was moving along at a fast pace–he dropped into position kind of early, lost my mucus plug, having contractions, was slowly dilating and effacing…and then for it to all STOP was confusing! On our due date we went to the doctor for a Non-Stress Test. Basically I just hung out on a bed for about 30 minutes while they monitored the baby’s heart rate with belts attached to my belly. His heart rate was perfect. Then we had an ultrasound. She checked his positioning and then measured the amniotic fluid levels (all good). We saw his heart beat on the ultrasound, he kicked and waved and we even got to see his little lungs practicing breathing! After that we saw a midwife (not our usual one) and she discussed induction. We decided to schedule it, with the hope that he’d decide to come on his own now that we had a date scheduled! The midwife suggested I try acupuncture so I went in on Tuesday the 15th and she did acupuncture for nudging labor along. She did certain pressure points and then attached something similar to TENS to several of the needles–kind of a weird sensation. I had some mild cramping later that evening but no contractions. Emotionally I was having mixed feelings. I was of course happy and excited to meet our little guy, disappointed he wasn’t here yet, and then also starting to get kind of worried–worried about potentially being induced and having complications or having a higher risk of having to have a c-section…all of those worry thoughts kept creeping in and I tried my best to just live in denial and NOT think about any of it. Wednesday the 16th I had mild cramping all day that kind of increased, but no real contractions. After work I went in again for a second acupuncture treatment. It was really nice and relaxing and I actually fell asleep this time. Nothing seemed to nudge the baby though. Thursday we went back to the doctor and other than him being slightly lower, no changes. She did a membrane sweep and said that’s it’s really a 50-50 gamble on whether it does anything at all, but worth a try right? We did another NST and everything was still good and normal. So no changes, no updates, no baby yet. I’m going to take it easy this weekend. In other news: my cousin sent me this gorgeous handmade quilt she made for the baby! It’s so beautiful and goes perfectly with the nursery! So cute!! 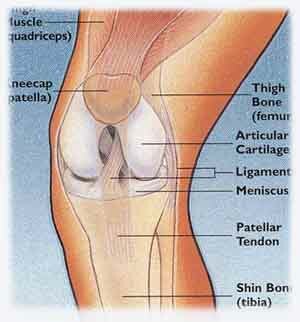 This post is an update on my Runner’s Knee. The dreaded ailment that has been plaguing me since October. I was doing really really well and by the time January came around I thought I might have it beat. Then I ran out of my tape and started to have a little flare-up. Then I went on a snowshoeing trek that turned out to be harder and longer than I wanted to attempt. Then I started doing orthopedic massage and I think that aggravated my IT band so much it made it worse. Bottom line: February pretty much sucked for my knees. Lots of pain. Lots of tears. Lots of feelings of hopelessness. But I think I might be turning a corner. (knock on wood) Despite a recent flare up (last week), my knees have been ok. As of today, Monday, they are tight but not in pain…if that makes sense. Treatment #1 – I went to the acupuncture clinic for the first time. The guy has been doing it for 30 years, was a teacher at a local Chinese Medicine school and is from China. He seemed very competent and nice enough. I did kind of feel like he was judgmental of “traditional” medicine. He made several comments about how I turn to pills for my ailments (i.e. insomnia and acne). I found that kind of annoying. I wanted to say, listen buddy–I’ve been suffering from insomnia for YEARS and if I didn’t take a pill to sleep on occasion to reset my body I’d probably be a mess and unable to function. So that was kind of a turn off. Despite that, the session was good. I fell dead asleep during the 45 minute session. It was awesome. Did it fix my insomnia? No. My knees? Not sure. I started feeling better around that time but I don’t know if it’s the acupuncture, taking a few extra rest days off, or just my knees healing. Treatment #2 – The second session was just okay. I couldn’t relax. I felt anxious and uncomfortable. I couldn’t shut my brain off and when I did start to relax my equilibrium was really off. I felt like the table I was laying on was sideways and I was trying to hang on to the table without sliding off. It was the weirdest sensation and hard to describe. Treatment #3 – This was a good but WEIRD session. I was able to relax despite the fact that I was having some nerve pain when he first put the needles in. Usually they don’t hurt. The weird thing was that my body was twitchy for the entire 45 minute session. I fell asleep almost immediately, but not a deep sleep–it was a half in this world, half in another world kind of sleep. And I would wake up about every 5-10 minutes because I’d twitch. First it was my left arm. Then my right leg. Then my left leg. Then my right arm. And so on. Kind of like that feeling when you feel like you’re falling and then your body jerks away? Like that. It was odd and I asked about it afterward. He said it was nothing and sometimes it just happens. One of the unpleasant things about this session was that I had nerve issues the entire time. Usually it doesn’t hurt and I can barely even feel the fact that I have a dozen needles in my body. This time I felt every single one and it was shocking nerve pain on several of them! I have no idea where this sudden sensitivity came from. It was unpleasant. Treatment #5 – I saw a different acupuncturist because my guy was on vacation. It went well and I had no issues. Treatment #6 – This was not a great session. I had a lot of nerve discomfort when he put the needles in. While acupuncture doesn’t usually hurt, it can sometimes be a little sting and I tend to clench up in anticipation. This particular session I had an unusual reaction to one needle. He left the room and I was trying to relax when the one in my ankle started to burn. It was excruciating. It was getting worse and worse and I couldn’t take it. I called the doctor back in and to his credit, he was there in seconds and took it out. I don’t know what happened but it was awful!! My knees have been feeling a little better. I had almost a month of NO PAIN! It was AWESOME. I started noticing that I wasn’t in pain and then I noticed that I could run several blocks for the bus in the morning with no pain. I also stopped taping my knees. The last time I took time off from taping (in January) I had a horrible flare-up of knee pain. This time was different. That gave me hope. I don’t know if taking some extra rest days, or going easy on the lower body exercises, or acupuncture is what worked. I’m not picky. Whatever is alleviating the pain is good by me. I’ve also stopped taking Advil. I bought a patella strap and I’ve used it a little bit. I have found that I didn’t need it that often in the last month or so. I don’t know if it’s the acupuncture, taking a break from most cardio, not taping or really focusing on strengthening my glutes…but something is working. I am so happy! I waited a few weeks before getting back to running. I wanted to go slow. It didn’t really go as planned. Run #1 – Was able to run on the treadmill for half a mile but it wasn’t comfortable at all. Run #2 – Didn’t happen. Bike Ride #1 – It was a short jaunt to and from the gym but it went GREAT! It was about 5 miles total. I had no issues during or after the ride. It made me feel confident. I’m not sure where I go from here. Tomorrow’s post will give an idea. Stay tuned. 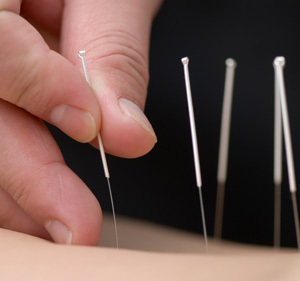 QUESTION: Have you seen results from acupuncture?